A-Q's 4th #Blackfriday Free Twitter Music. 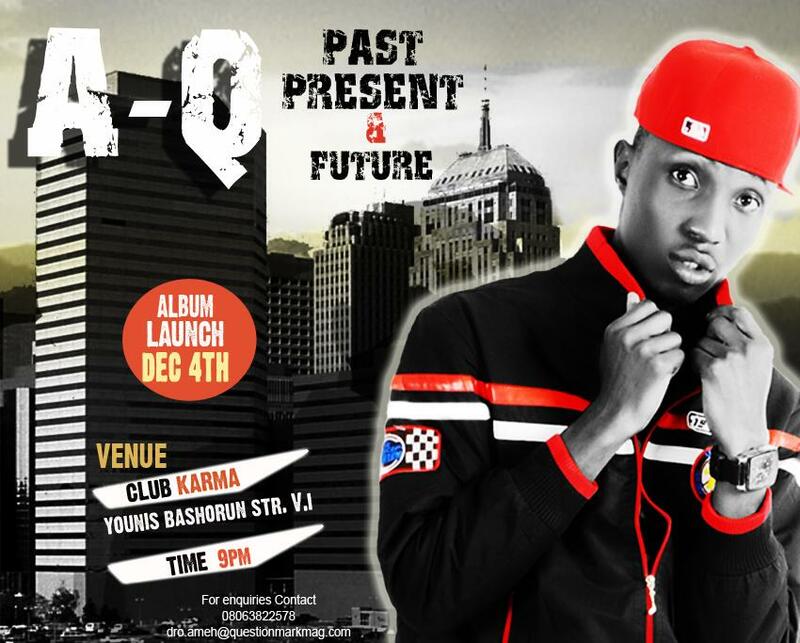 Album Drops Tomorrow, Sat'Day at Club Karma, VI. In the past month, A-q was giving out mixtape material via Twitter. 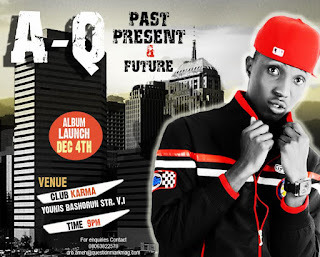 Here's his fourth and last free #Blackfriday track from A-Q before his debut album - The Past, Present and Future that drops tomorrow, Saturday. The red carpet launch takes place at upscale bar and lounge Club Karma, Younis Bashorun, Victoria Island Lagos. This track features young lyricist Fecko and Miek Harry rapping over Djinee's overkilling instrumental. Fecko opens the track with lines like "if you want beef, this would be your last supper" and "I'm a rude boy, hi Rihanna" then A-Q 'comes through' and gets comical like never before, like he has ever been on a #blackfriday track and he invites youngster / 14 years old to bring the track to a close.